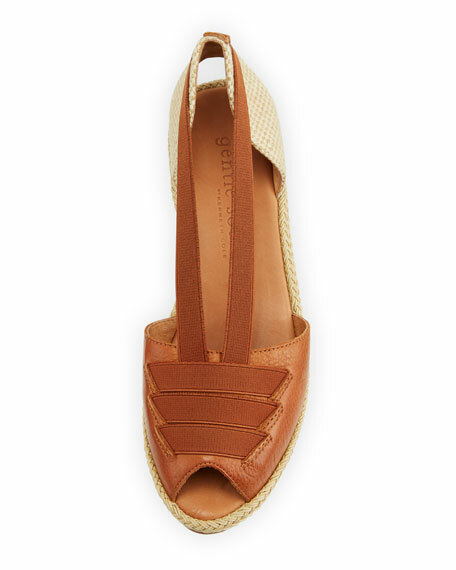 Gentle Souls leather espadrille sandal with stretch straps. Designed for comfort: performance cushioning, memory foam, and arch support. 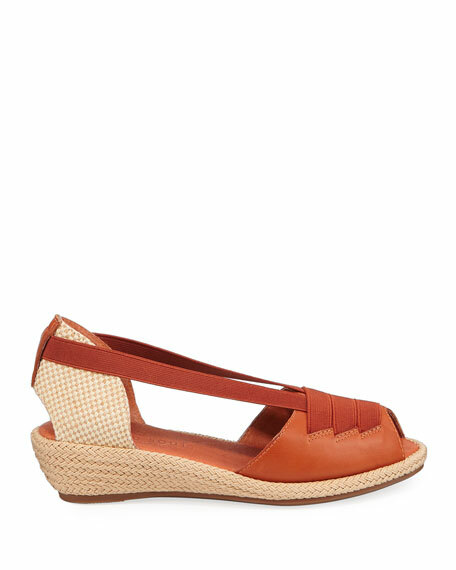 1.3" braided-jute wedge heel with slight platform. 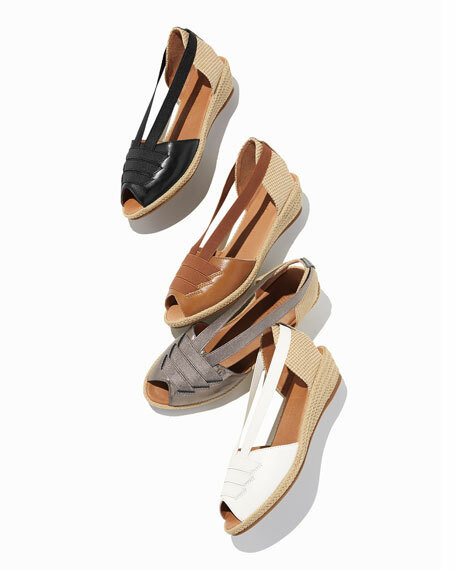 Style and cutting-edge comfort co-exist in the Gentle Souls line of contemporary footwear. From everyday pumps and flats to stylish boots and wedges, each Gentle Souls shoe is designed with patented Displaceable Solid Technology for lightweight support and flexibility. Features like flax seed pillows at the insoles, breathable deerskin lining, and shock-absorbing soles allow you to wear the latest styles in lasting comfort. For in-store inquiries, use sku #2450233.